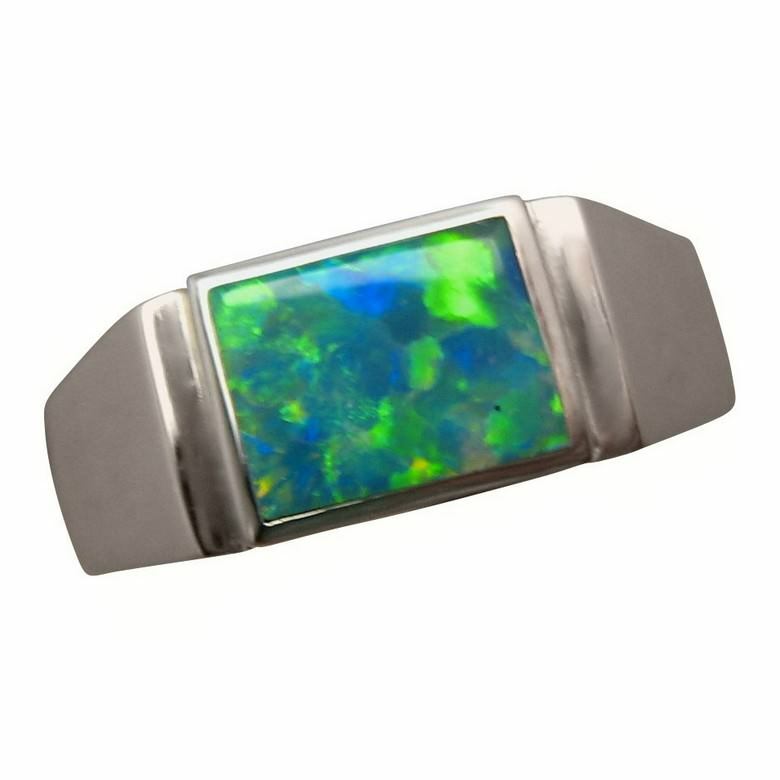 Mens Opal Ring in 925 Sterling Silver with one bright rectangle Green and Gold Opal. This Opal Ring for men is at a great price. 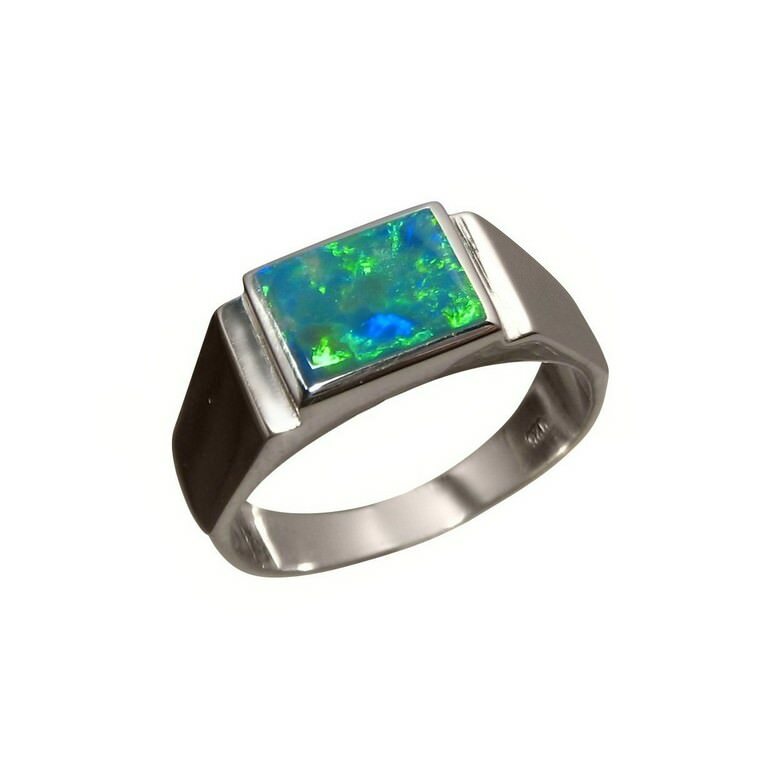 The masculine ring setting is 925 Sterling Silver weighing 4 grams and it is inlaid with one rectangle Lightning Ridge Black Crystal Opal that has bright colors of Green and Gold. View the video below to see the play of color and shine of the Silver in this quality Opal ring. This particular ring has been sold however one may be Made to Order in any ring size and you can inquire about having one made through the ask a question link above.